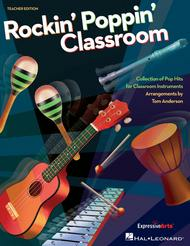 A Collection of Popular Hits for Classroom Instruments, Guitar, Ukulele, Orff and Keyboard. Arranged by Tom Anderson. ExpressiveArts. Elementary, Classroom Resources, Orff, Collection, Instruments. 56 pages. Published by Hal Leonard (HL.140881). 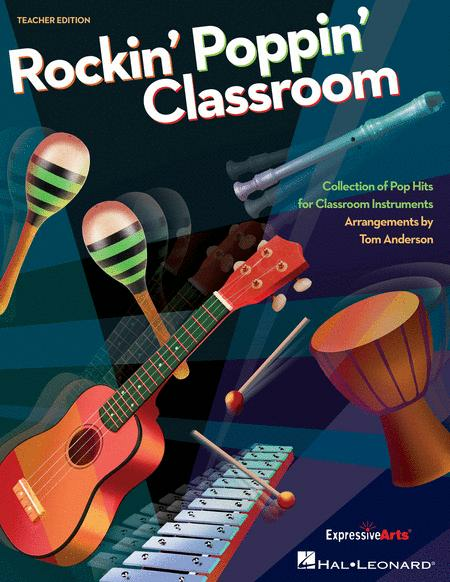 Your students “will rock you” as they play these classic songs in the classroom and beyond! Grab ukuleles, unpitched percussion and Orff instruments and recorders to play arrangements written for young musicians. The Teacher Edition features full scores of each song arrangement, and the student 20-pak includes all instrument and vocal parts. Perform these songs with instruments or sing and play with the supportive, professional tracks on the Sing-Along CD. This collection is completely flexible to fit all kinds of situations. “Stand by” your newly-formed classroom band and “be happy!”.